Sebern Fisher’s book, published by W. W. Norton & Company, explores the synthesis of Neurofeedback — a powerful modality for retraining the brain — with psychotherapy, specifically in the treatment of developmental trauma and attachment disorder. 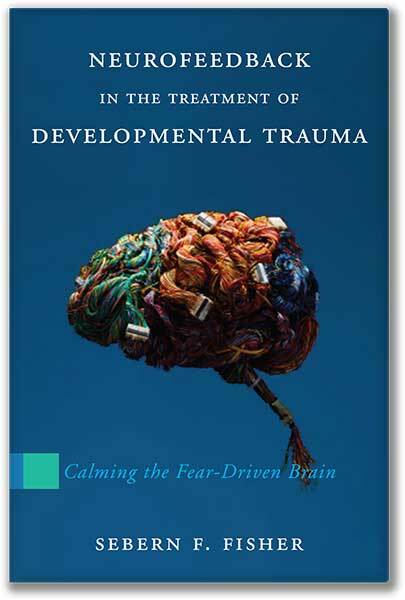 However, the book serves a wider purpose – it is a first-of-its-kind guide in the use of Neurofeedback in a psychotherapy practice, and it provides an in-depth review and reframing of cutting-edge neuroscience in relation to trauma. This book provides compelling insight into the brain-mind interaction. In his foreword to the book, internationally recognized trauma expert Bessel van der Kolk, MD, praises Fisher as “an immensely experienced neurofeedback practitioner [and] the right person to teach us how to integrate it into clinical practice.” Filled with illuminating client stories, powerful clinical insights, and plenty of clinical “how to,” she accomplishes just that, offering readers a compelling look at exactly how this innovative model can be used to engage the brain to find peace and to heal. Sebern Fisher shared a post. Sebern Fisher updated their cover photo. Join me and 24 of today’s leading neuroscience experts and functional medicine practitioners for practical training sessions designed to help you optimize your brain for greater health, resilience, performance, and peace. I urge you to join me in The Brain Change Summit, where I’ll be speaking on Calming the Fear-Driven Brain on April 30 at 5 pm PT / 8 pm ET. The authors develop a noninvasive stimulation protocol to restore neural synchronization patterns and improve working memory in older humans, contributing to groundwork for future drug-free therapeutics targeting age-related cognitive decline.